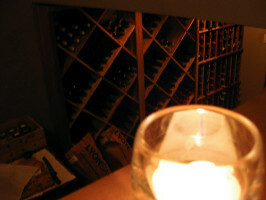 Where do you go for a nice glass of wine during your stay at our Vancouver bed and breakfast? Vancouver’s food scene is filled with up-and-coming bars for wine lovers. In the mood for a rich glass of red or a cool glass of white to finish your day of shopping and sightseeing? Here are our suggestions for the best wine bars in town. Near our Dunbar bed and breakfast, you’ll find the Kitsilano Salt Tasting Room (2585 West Broadway). The concept is simple: you have a cheese, meat and condiment accompanied by the perfect wine. The Salt Tasting Room also organizes the Salt Cellar Series, where local artisanal products are paired with delicious wines on a communal table. Truly something not to be missed! After an afternoon of downtown shopping or before catching a show at the Queen Elizabeth, stop by the UVA Wine Bar (900 Seymour) for a refined selection of wines and import beers as well as original cocktails. The terrazzo floors and the Italian enoteca inspiration will take you right to Italy! Small bites, charcuteries and cheeses accompany your choice of wine. Voted best wine bar in 2012 by the Georgia Strait! In the heart of posh Yaletown, you’ll find Brix (1138 Homer). The bar has won several awards, including Wine Spectator’s “Award of Excellence” and the Vancouver Playhouse International Wine Festival’s ‘GOLD’ wine list in 2012 and 2013. Definitely one of the best wine lists in town. If you decide to visit Steveston, a good glass of wine can be found at Gudrun Tasting Room (3500 Moncton). A focus on tapas and organic food as well as fresh salads and a sticky toffee pudding to die for has made this spot a new favourite in Richmond. Vancouver is a city of food and flavours, and wine is definitely not left behind. Try one of these spots during your next stay at our Vancouver bed and breakfast!